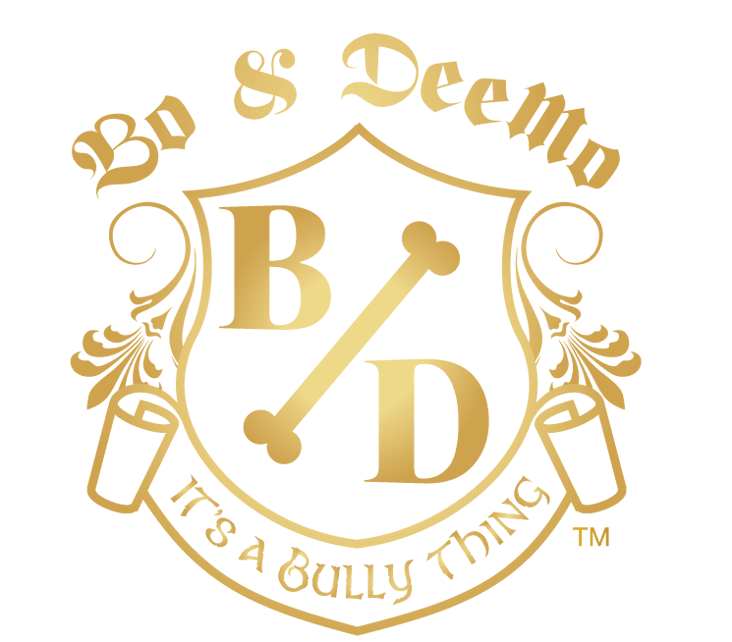 AMERICAN BULLY COUTURE catering to BULLY BREEDS! Kevin & Dee Mounts with their pack! Dee Mounts' parents always knew she would be in the fashion industry, ever since she and her cousin dressed her younger brother in her clothes and mother's wigs for runway shows they would put on for relatives when they were kids. As a 13 year old punk-rocker, who didn't like any accessories at the mall, Mounts began making jewelry and selling it at her school. Realizing design was her calling she set her sights on the Fashion Institute of Design & Merchandising after graduating from high school. Fast forward to 2006, she developed a strong desire to work with animals and trained under an AKC certified dog trainer adding more than 3000 hours of training to her resume. Mounts love for the boxer breed lead her on a crusade, not only to save several boxers from death row through rehabilitation and placement into deserving homes, but also to bring loving companions to senior citizens on fixed incomes through her Human & K9 Companion program. This program has become a sort of "social club" for seniors. 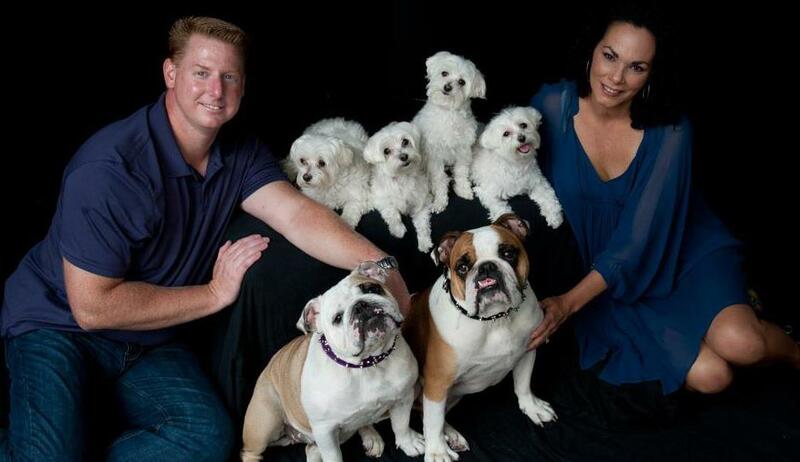 In 2007, Mounts, now married, received an English bulldog puppy (A.K.A Mugsy Malone) as a present from her husband and became quickly fed up with outfitting Mugsy Malone with improperly made garments for her "baby" and spending thousands of dollars. Being a designer, she made a corset patterned hoodie, presented samples to international distributors, and asked her business partner if she wanted to have some fun and Bo & DeeMo was born. Prior to Bo & DeeMo, Mounts was Director of Operations for Dead on Sports - the first skull and crossbones golf/hockey company; worked with the National Football League, National Hockey League, Professional Golf Association, and many Hollywood celebrities. Mounts has more than 25 years experience in the manufacturing industry. 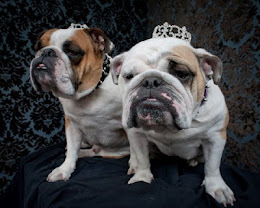 Officially joined the Company this year as Co Owner of Mugsy & Moxie's Bully Couture, our all breed retail boutique and Bo & DeeMo, our manufacturing company strictly for our coveted nine bully breeds. Originally from Pennsylvania, he chose an 11 year career in the Navy traveling the world and rising up the career ladder in NCIS. His childhood family pet, Jill the Boxer, is still his favorite memory growing up with dogs on a 2 acre property back home. He is a proud furdaddy to all five dogs and two cats. Copyright © 2015 Bo & DeeMo, LLC. Awesome Inc. theme. Powered by Blogger.